Choose from our convenient delivery formats to get the training you and your team need—where, when and how you want it. Whether it’s in a classroom or online, public or private, synchronous or asynchronous, Global Knowledge has a delivery option to match your needs and preferences. Our course delivery formats enable you to balance your schedule while gaining real-world, relevant skills in a stimulating environment. Learn more about our course delivery formats and how each supports your training goals, learning needs and budget. Not sure which format is best for you? Find out with our delivery format picker. Receive engaging and relevant instructor-led training, collaborate with your peers and gain real-world skills while in a comfortable, ready-to-learn atmosphere. Our Classroom Live training locations are strategically designed to ensure that you master core concepts with in-person instruction and interactions. Experience our subject matter experts, superior content and relevant hands-on labs in more than 150 classroom locations across North America. Focus and thrive in an environment that supports learning. Our training centers are equipped with work stations and other classroom essentials tailored for learning. Collaborate for insight, clarity and retention. Interact face-to-face with expert instructors and fellow students to get the most out of class. Engage with relevant course content. Topical, results-oriented content and exercises mean you’ll gain the skills you need and be ready to use them. Learn more using state-of-the-art equipment. Use pre-programmed, ready-to-go tools and technology designed for professional development. Get your hands dirty. Practice what you learn in guided hands-on lab exercises. Get engaging and impactful live, instructor-led training, regardless of your location. Our Virtual Classroom Live training combines premium learning technologies and our industry-leading instructors, content, exercises and peer collaboration to ensure that you get the highest quality professional development experience possible. 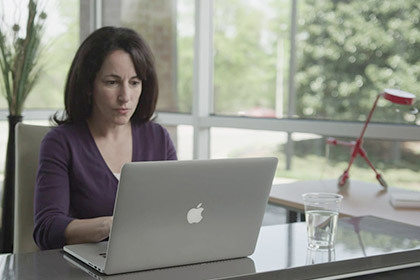 Take a peek inside our virtual classroom and see how you can gain the skills and expertise that matter from wherever you have an Internet connection. Experience interactive learning, by design. Engage with your instructor and fellow students via a learning platform and course material designed to ensure a stimulating and productive learning experience. Engage for insight, clarity and retention. Access all the conveniences you expect from an online classroom: desktop and application sharing, breakout groups, public and private chat and participation tools. Access fully indexed and searchable class recordings for 12 months or more. Easily search or navigate within your session's content, exercises, discussions and chats to review key topics, reinforce complex concepts, or catch up on something you may have missed—even after you return to the office. Subject to availability by course. Practice solving real problems in hands-on labs and exercises. Whether by accessing a live, production-quality technical lab or interacting with practical templates and job aids, you’ll reinforce course topics and ensure that you develop skills that you can use immediately in your work environment. Subject to availability by course. Train without traveling. Save time, money and effort by accessing our expert-led online training from the convenience of your home, office or anywhere with an Internet connection. Select from multiple time zone options. Choose from sessions across a variety of time zones for training options that suit your schedule. Choose your connection: VoIP or Conference Bridge. Connect with your class through your device audio or telephone, depending on available technologies and your interaction preferences. Applies to students accessing their class from the U.S. and Canada. Enjoy the flexibility of cross-platform support. Attend from your PC, Mac or any iOS/Android tablet or smartphone. Build your skills with the best of both worlds. Blended Live from Global Knowledge combines the expert direction of instructor-led training and the flexibility of on-demand learning and will enable you to close critical skills gaps more effectively while maintaining your day to day responsibilities. Blended Live combines the structure of instructor-led training with the flexibility of on-demand learning. Learn at your own pace while maintaining your day to day responsibilities. Blended Live allows you to manage your time more efficiently and is adaptive to student schedules and responsibilities. Scheduled sessions maximize learner time and on-demand content can be completed on your schedule. Access to an instructor is assured with weekly, live virtual sessions. Ask questions, receive direction, or interact, peer-to-peer, with other students. Scheduled, instructor-led sessions provide expert direction, connection, and mentoring. In addition, these sessions are designed to guide and motivate students to a greater mastery of the material. Blended Live is a happy medium between the flexibility of on-demand learning and the structure and interactivity of instructor-led training. It is a progressive learning method that mirrors the experience of recent graduates of higher education. Employing a framework of learning while solving problems, challenge-based learning focuses on mastery and achievement. Blended Live utilizes challenge-based learning methodologies to increase content retention and close skills gaps more effectively. On-demand training is for professionals who prefer to develop the skills they need on their time and at their pace. You’re no longer limited to one schedule. With the ability to start, stop and rewind the lessons, even the most time-strapped individuals needs will be met because the material is always waiting for you—right where you left off. Take comfort in that you’re being taught by subject matter experts who are using proven learning development tools and techniques to deliver an interactive training experience that is cost-effective while providing maximum flexibility. Take advantage of classroom-quality content. You’ll receive the same instructional design and topical, results-oriented course content we use for our instructor-led courses. Learn at your own pace. Your course is available 24 hours a day, 7 days a week to fit your schedule, no matter how crazy it gets. Access hands-on labs at your convenience. Master your skills with comprehensive labs and exercises that reinforce course content. Enjoy flexibility while saving money. Get more from your training dollars with cost-effective On-Demand courses. Access your training anywhere. With an internet connection and your preferred equipment, you’re ready to learn at the location of your choice. Minimize travel and increase efficiency. We bring the training to you, reducing and even eliminating travel cost and coordination. Get consistent training for multiple employees, including new hires. Ensure that all employees receive the same instruction on the same topics—ideal for managing regulatory compliance initiatives, simplifying complex project launches and software migrations, and reducing adoption risks. Receive expert, tailored content where and when you need it. Gather your team at your facility, online or at another location—it’s your choice. Train a distributed team with Connected Classroom Live. Ensure consistent skills and collaborative learning across teams with this blend of online and classroom training that provides the convenience of on-site delivery while accommodating remote attendees. Get convenience and privacy while saving money. Reduce your cost per student while enjoying convenient, private training for your entire team. Tailor curriculum to fit your situation. Customize course content, use cases, labs and more to focus on the concepts your team needs to know. Strengthen teams with interactive exercises. Employees work together in an environment structured for team building and growth. Work with a single point of contact. Receive seamless coordination and class delivery with a dedicated Global Knowledge account manager.